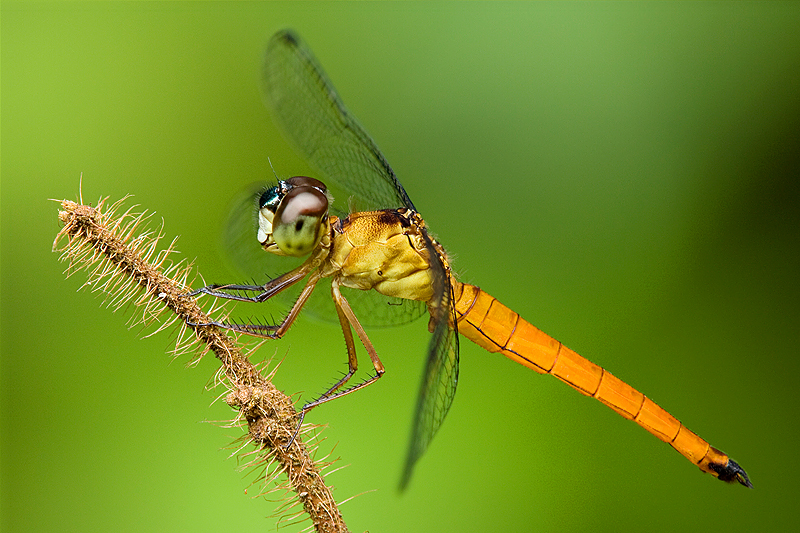 This is a common and relatively unattractive dragonfly species. 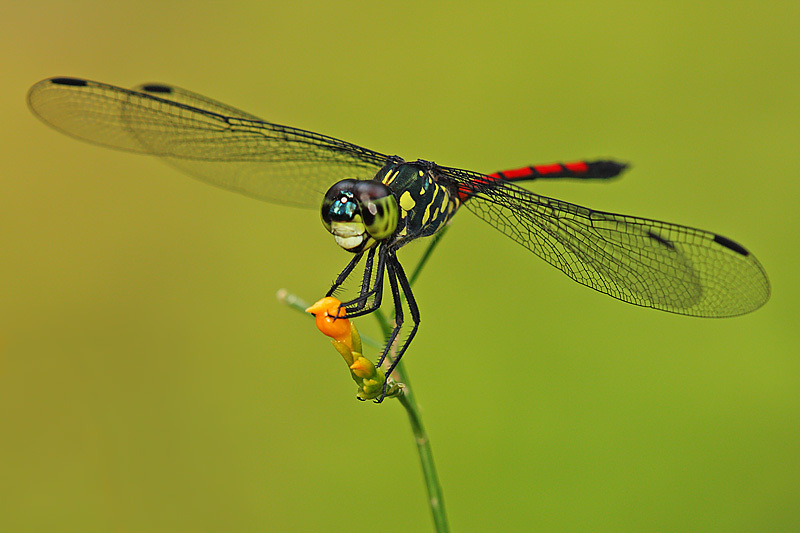 It is not easy to get a nice shot as they are usually quite sensitive to human. I often gave it a miss and therefore, I am not surprised that I could only found one record image in my harddisk. 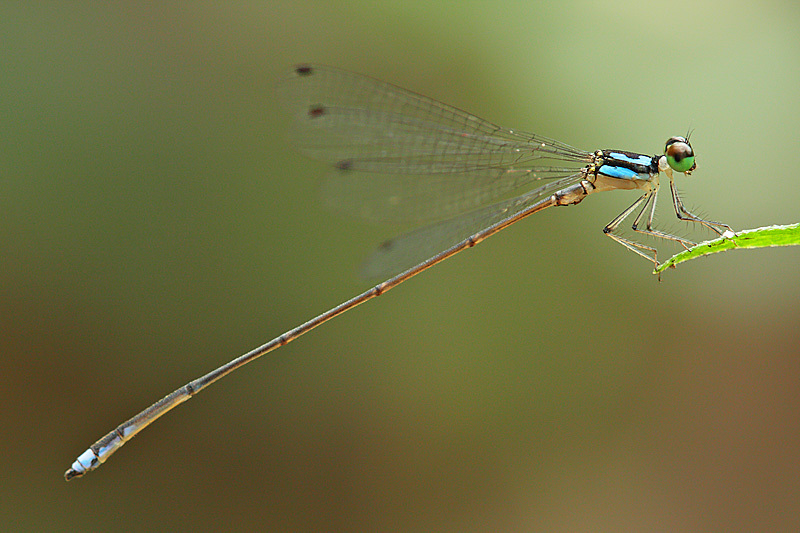 I shall make an effort to spend sometime on this species and get a better shot next time. 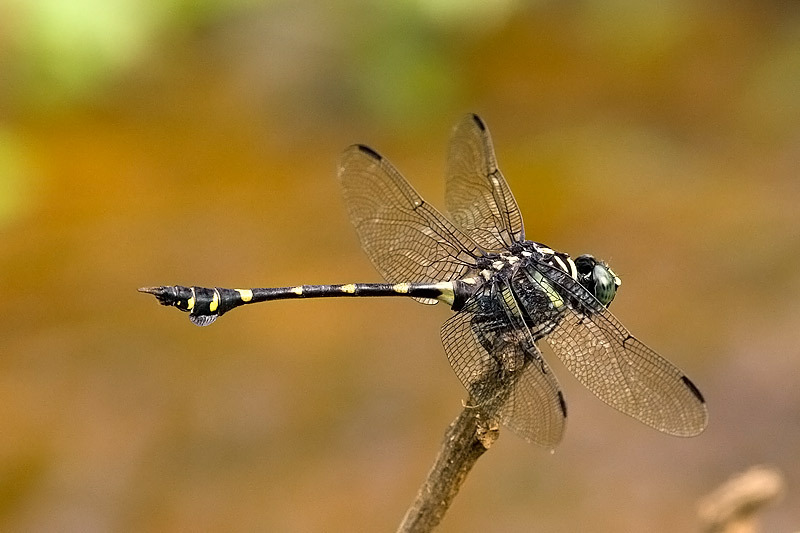 Orthetrum Glaucum is a medium size dragonfly species. 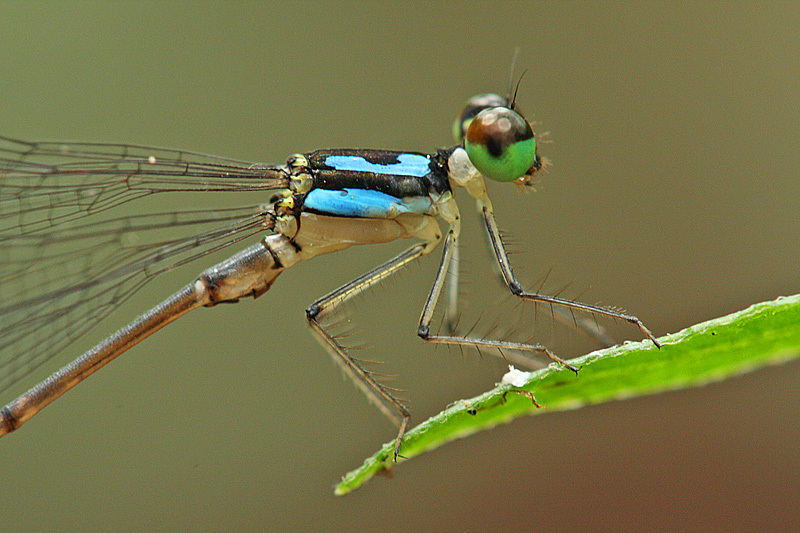 The males are blue in colour with a greyish at the tip of its abdomen. 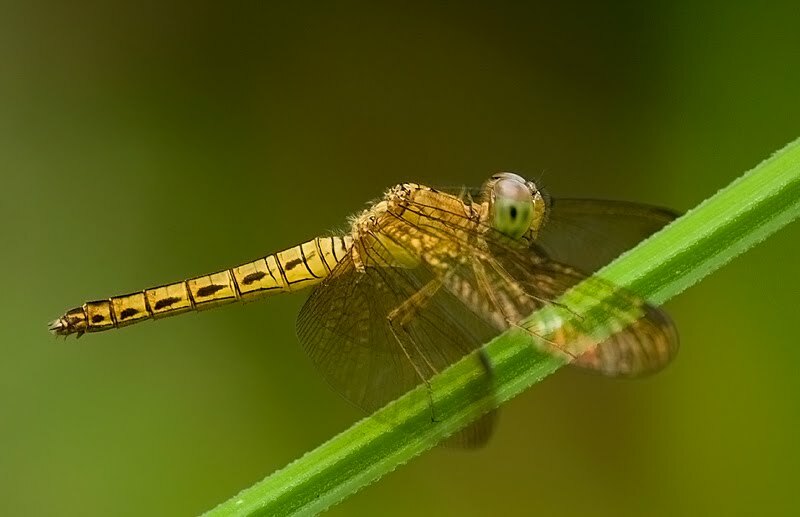 The females are golden yellow in colour and they are less commonly found than the males. They usually perch on messy bushes and sometimes on stones under the hot sunlight making it difficult to get nice shots. So far I have sighted them at Dairy Farm Nature Park and Rifle Range Nature Trail. Hope I can get an improvement shot soon. Location : Almost anywhere in Singapore where there are bushes near ponds, streams, lake, reservoirs, etc. 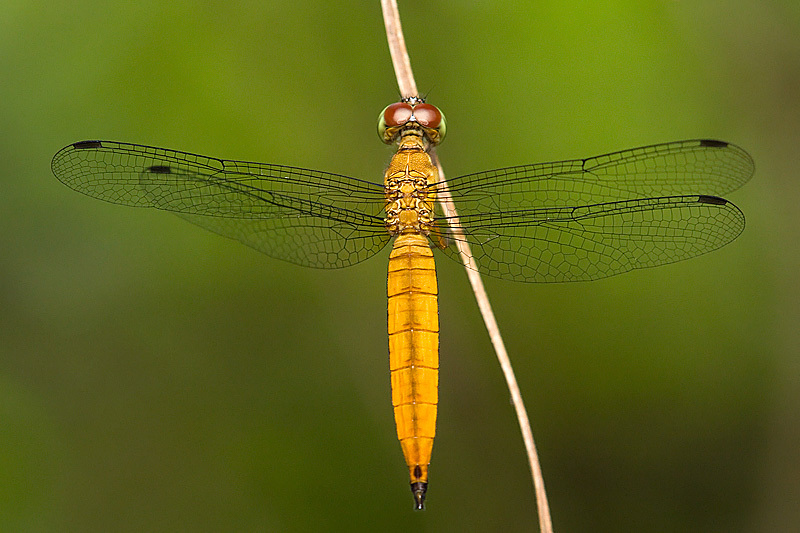 This is easily one of the most common dragonfly species that you can find in Singapore. 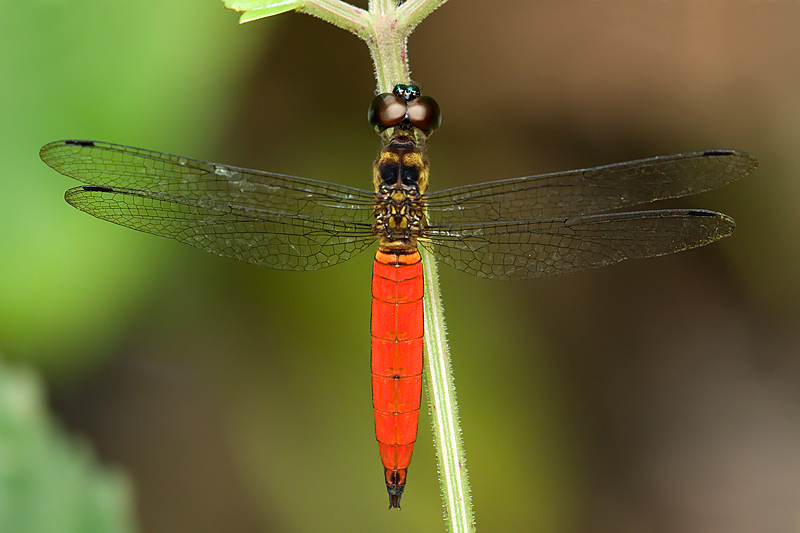 They are so common that most of the photographers, me included, would give it a miss when seeing them. 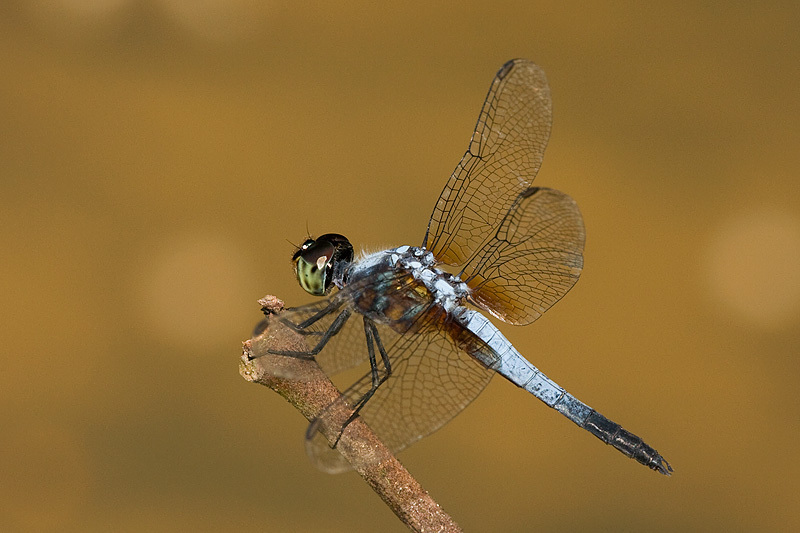 This species can be easily identified by its bronze wings and dark marking. 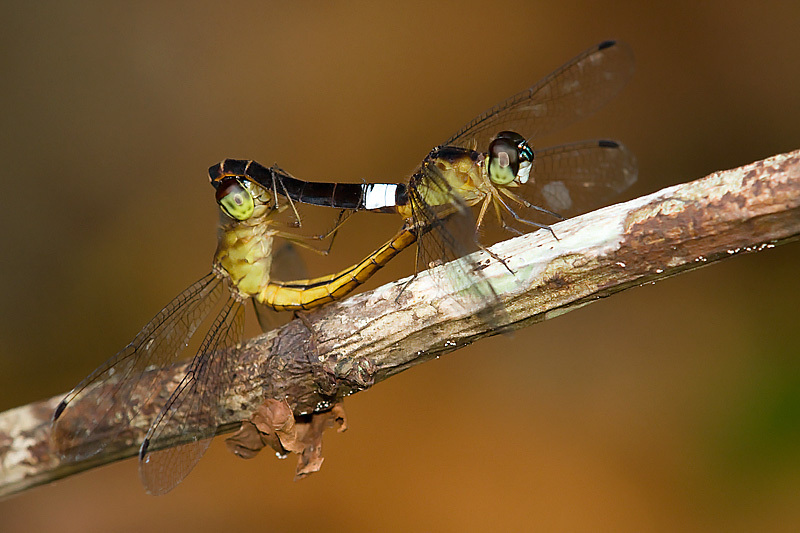 Both male and female are similar in appearance. They like to perch under direct sunlight. 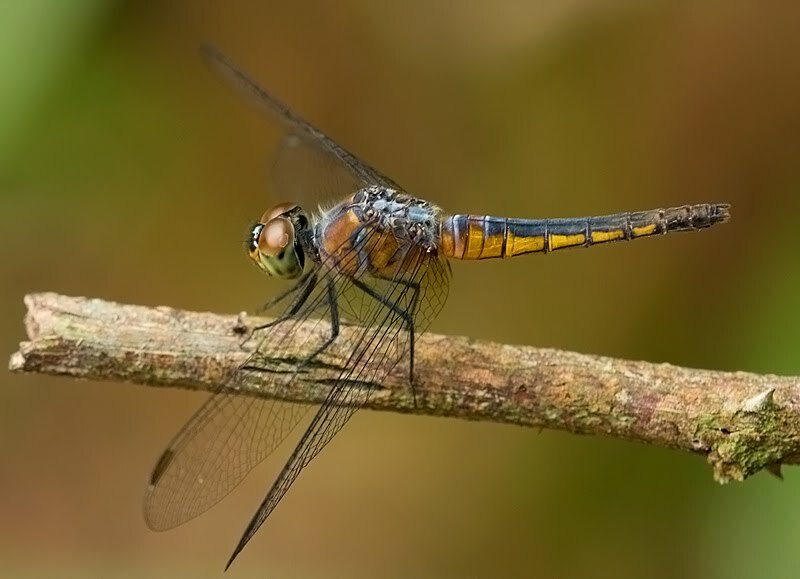 I have only seen this dragonfly in an open marshes near Chestnut Avenue. Unfortunately, before I could get a better shot of it, the place is now under redevelopment for private residential purposes. 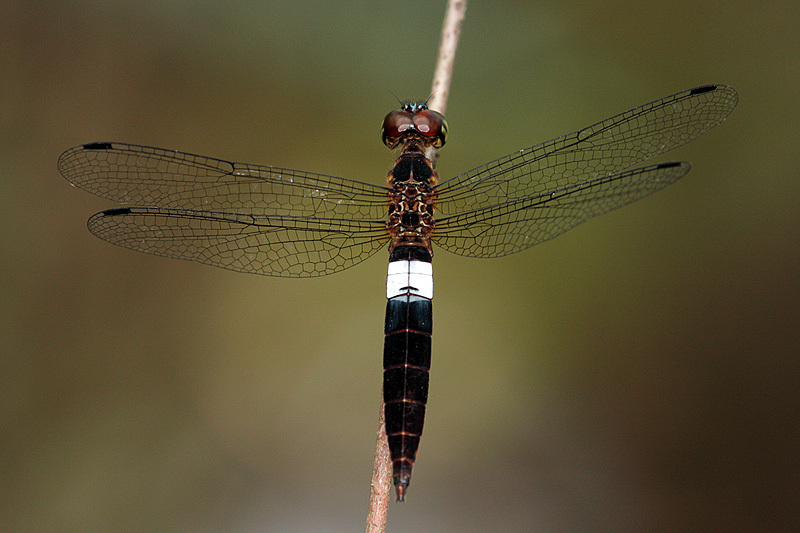 My 2nd sighting of this species was at Rifle Range Nature Trail. I am glad to capture some improvement shots of it. 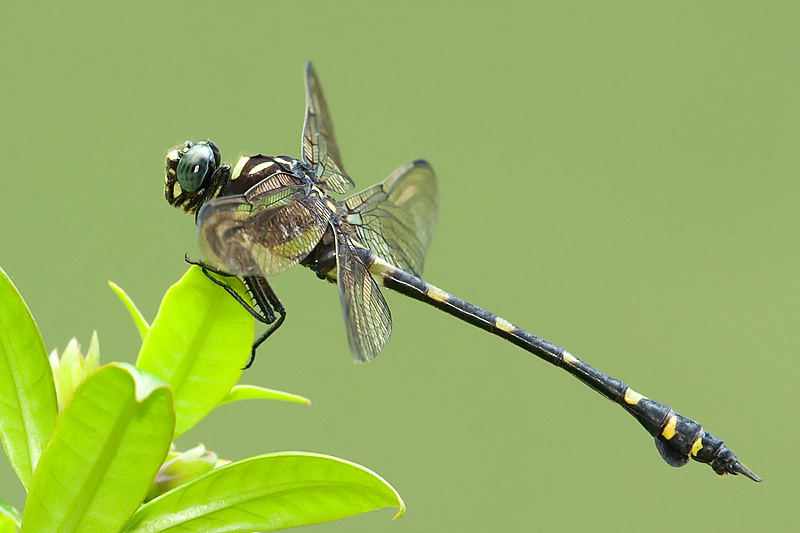 This is one of the biggest dragonflies (about 12 cm long) that I have seen in Singapore, easily 4 times the size of Asian Pintail (see previous post). It is classified as a very common species but I would consider it relatively common as I have spotted them only 4 or 5 times so far. 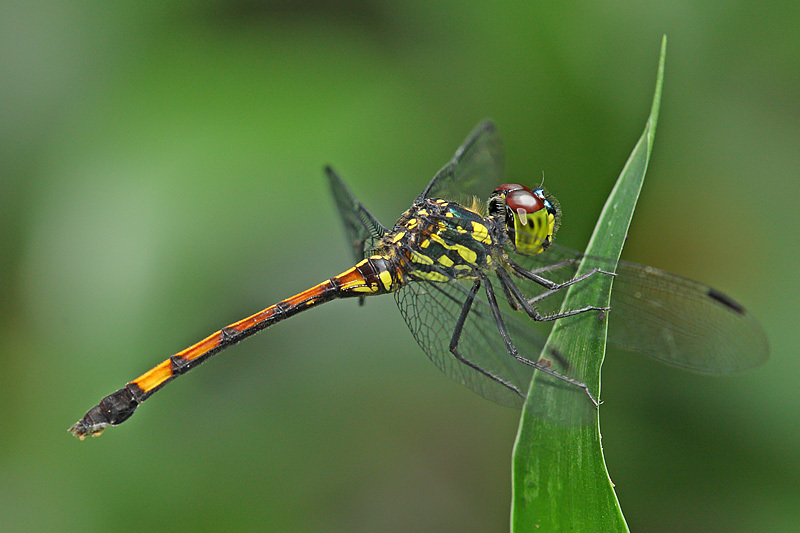 I first spotted it at West Coast Park and recently at a slow-moving open stream in Venus Drive. It has a aggresive look maybe due to its huge size and certainly not an easy species to get close. The nearest distance that I was able to shoot was more than a metre away but fortunately, it often returned to the same twig where it perched. 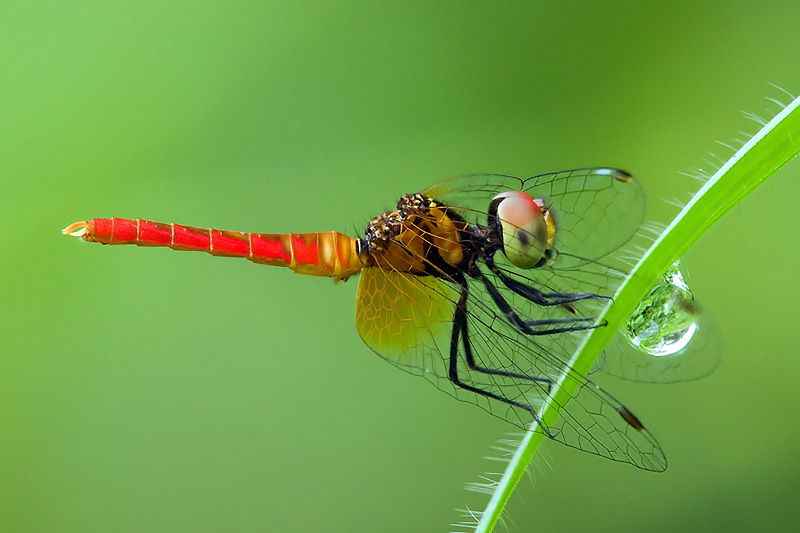 On 13 Sep 2010, I finally got an improvement shot of this giant dragonfly. The Coeliccia octogesima is a common forest species. 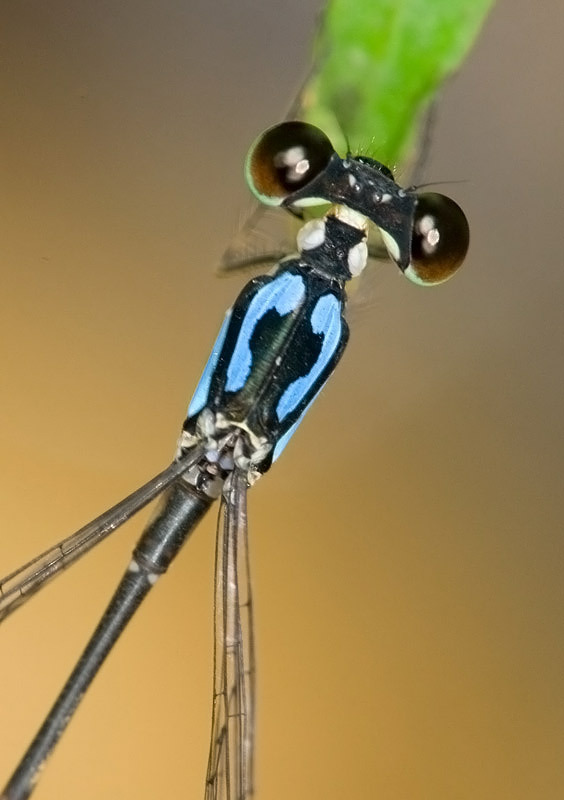 Unlike most damselflies that I’ve seen, it has a thin body and held its wings apart instead of holding them together vertically. 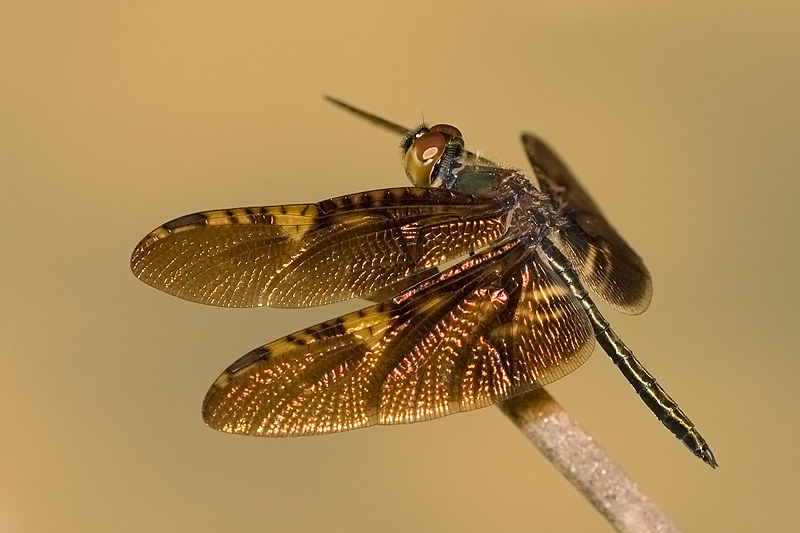 This male species is easily identified by the two telephone shape from the dorsal view of its thorax. 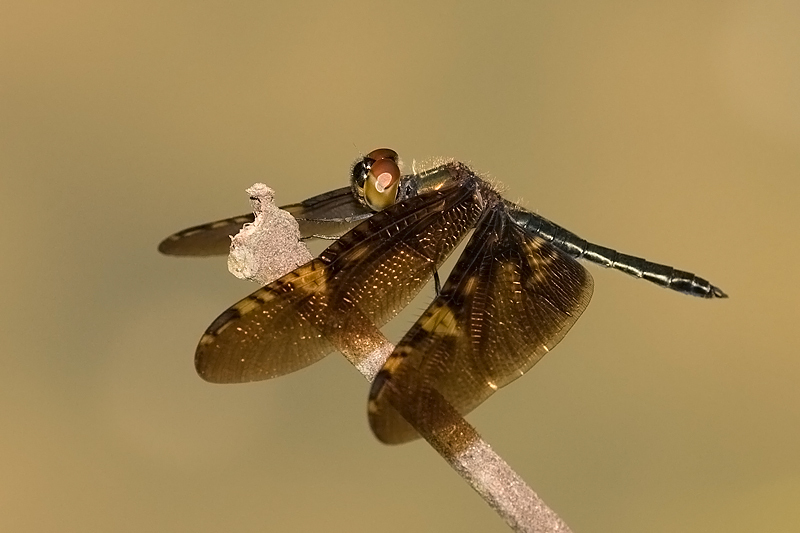 The female is similar to the male but the telephone shape is less well defined. I first spotted it on 26 Dec 2008 perching very lowly on small patch of grass making it difficult to photograph the side view. I found a mating pair in Feb 09 but it soon separated and perched on a thin branch in small dark stream but it was high enough this time to have a classic side view shot. 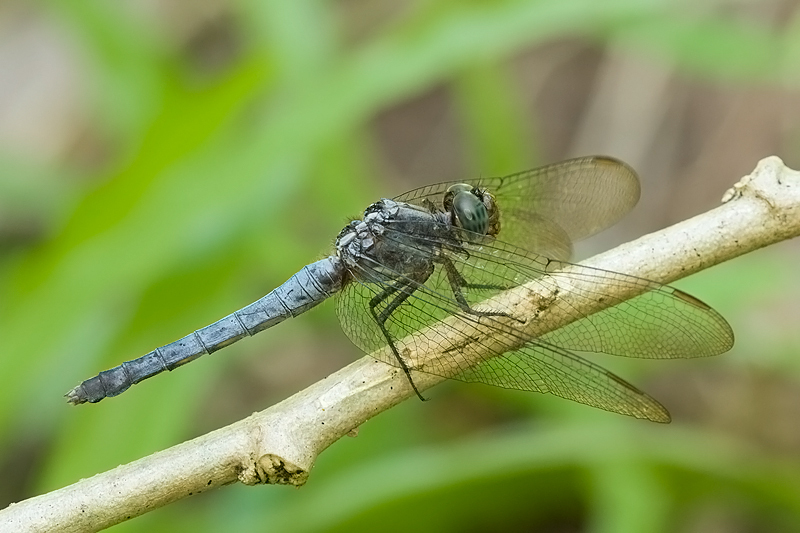 This is one of the most cooperative species that I have seen and I have no problem getting a dorsal close-up view. 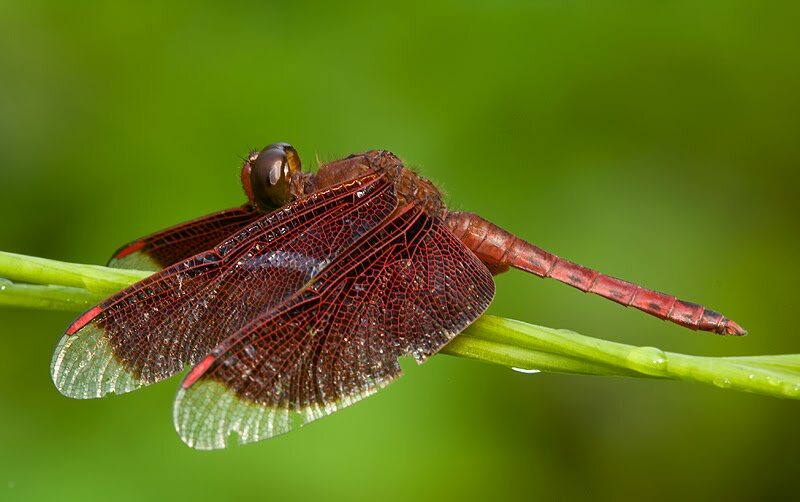 Nannophya pygmaea (or pypmy) is one of the smallest dragonflies species in the world and certainly the smallest dragonfly that can be found in Singapore. 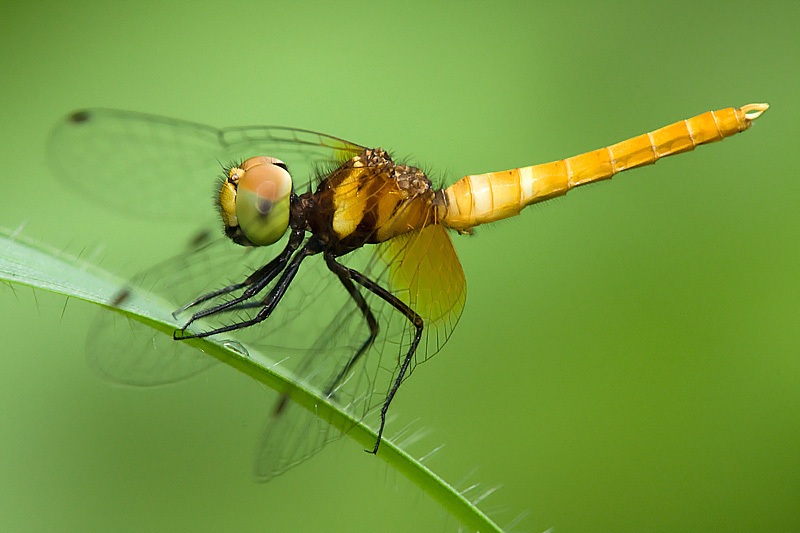 It has a total length of approximately 15mm long and a wingspan of only about 20mm. 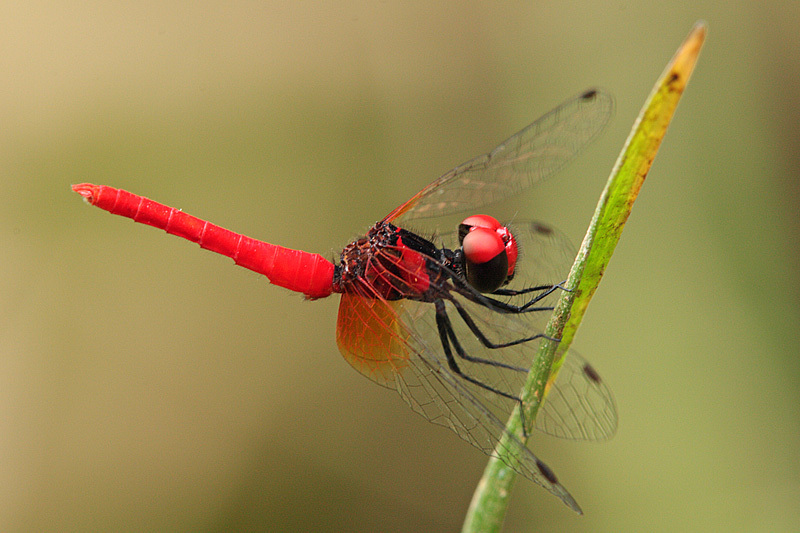 The male is almost entire red particularly on its eyes and body. 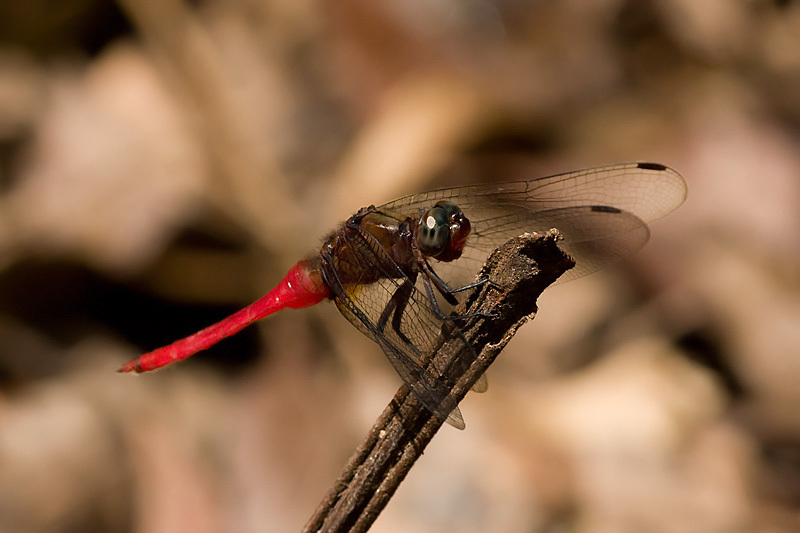 Below is an image of a not fully mature male where the colours are not in complete red yet. 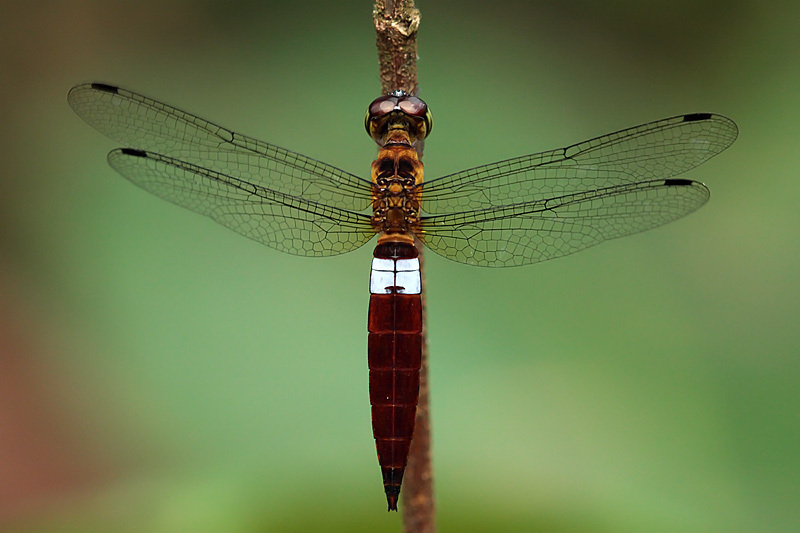 The female is less commonly seen than the males where its abdomen has bands of brown and white. They are very cooperative and photographing them is relatively easy. The challenge is to get a uniform background and a good angle having its wings not covering their faces which I didn’t quite manage to do it for these 3 male images.